Do you make use of an iPhone device, and maybe mistakenly you misplaced or forgot the password for such device, and as a result of that, making use of factory reset settings has been a no go area due to the lost of its password. If that has been the case for you then, you need not to worry again because, from this tutorial you will be learning how to factory set your iPhone device without knowing the pin or password. Follow the below steps accurately in order to get your iPhone device to its standard mode with the use of factory reset settings. *Click here to download the Itunes. 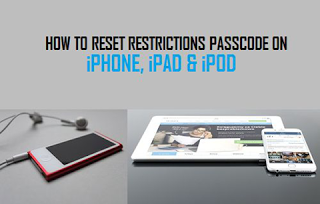 Note: This method of factory reset without the password works for all iphone, ipad and ipod devices. How To Increase The Volume Of Your Android Phone Beyond The Manufacturer Set Up Volume. How To Increase The Speed Of Your Smart Android devices. 1. You need to switch off your iphone device first, to do that hold the button located at the top of the phone then slide to turn it off. Note: Before plugging the USB cord to your phone, ensure you hold the home button in front of the iphone, as this would enable the pc get the recovery mode of the iphone device immediately. 3. After the above step, your PC will be showing you the connect to itunes screen, when that is shown, then you can realese the home button in which you are holding earlier. When that is done, you will see exactly what the below image is showing on your PC. 5. The system will start extracting the software, which can be seen on the PC screen showing the progress bar. 7. Finally, if the installation process finishes, go ahead and start up the phone and enjoy the new features as set up by the factory mode. You can now safely unplug the USB cord. That's all for that, hope the guide was helpful, do others the favour by sharing this post. Thanks.